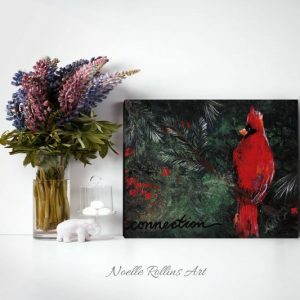 Ornament featuring the artwork images from Noelle Rollins Art. 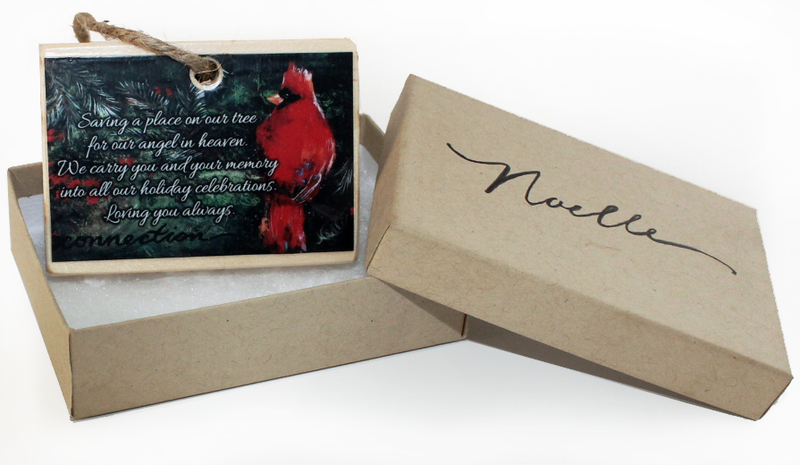 Cardinal remembrance ornament to honor a loved one in your life who has passed. 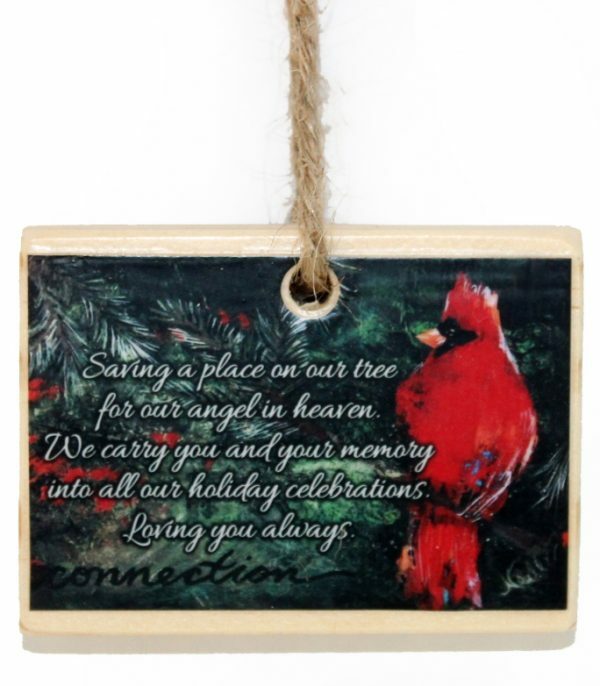 This ornament makes a great gift to help bring a deceased friend of family member’s memory into future Christmases. 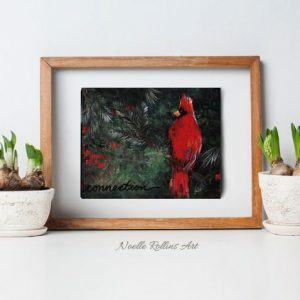 Ornament features a bold red cardinal over a green background of evergreens. Ornament is 3” x 2.2” x .75 made from wood. 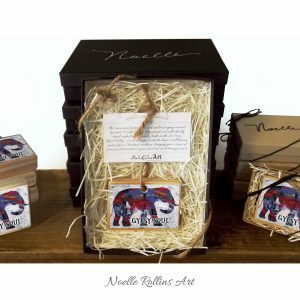 Each features an artwork print mounted to the front, the Noelle Rollins Art logo wood burned on the back, and will arrive strung with twine. 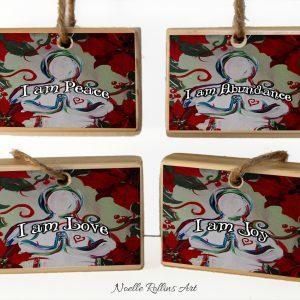 boxed – ornament will be packaged individually in 3″ x 4″ kraft box with signature logo, includes information card. Box can be used to store your ornament year after year. 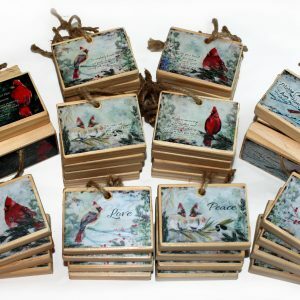 Deluxe boxed ornament – Ornament will arrive in a generous 5×7″ black box, with information card. This boxed set is for the gift giver who likes to make a statement. 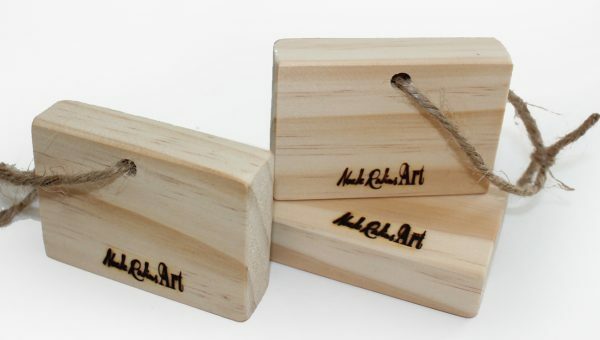 2018 boxed – ornament will be packaged individually in 3″ x 4″ kraft box with signature logo, includes information card. Box can be used to store your ornament year after year. 2018 Deluxe boxed ornament – Ornament will arrive in a generous 5×7″ black box, with information card. 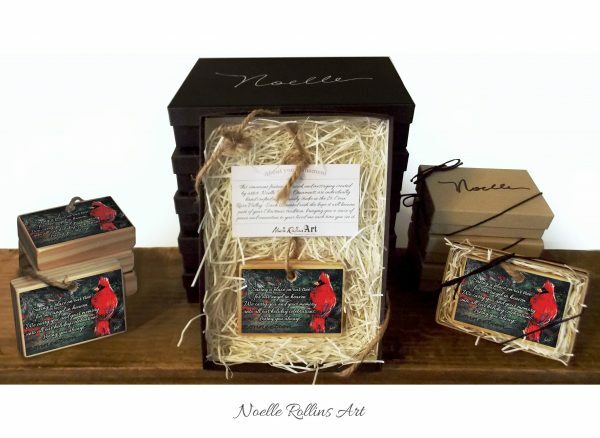 This boxed set is for the gift giver who likes to make a statement. 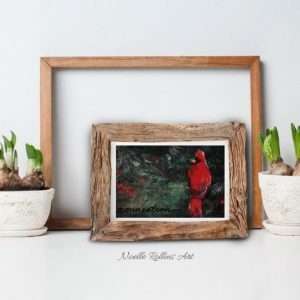 This ornament is an extension of the Sacred Hellos artwork series. An artwork series created to honor loved ones who have passed on and the signs we get from them. You can learn more about the Sacred Hellos Series here.